Encore! Tenors first performances | Marbella Marbella – Adelante! 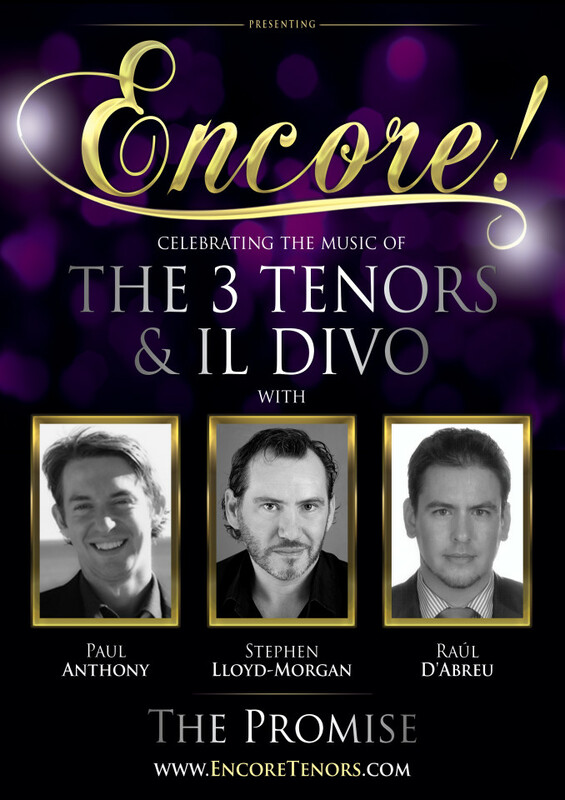 Popular International Welsh Tenor Stephen Lloyd-Morgan joins forces with the two amazing voices of Spanish Tenor Raúl D’Abreu & English Tenor Paul Anthony to bring you ‘Encore!’ – celebrating the music of ‘The 3 Tenors’ & ‘Il Divo’.